Augusta Greens - Beautiful country side community but only a short drive to all the shopping and dining. Welcome Home! MLS#3480657. Keller Williams Lake Norman. Priced below tax value. Bring all offers!! ! MLS#3480936. 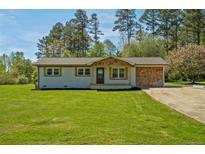 Lake Norman Realty, Inc..
Just minutes from adorable Troutman and Lake Norman State Park and access to I77. MLS#3481013. Keller Williams Lake Norman. Shannon Acres - Finished Bonus room upstairs and walk in closet could be finished as additonal living space. MLS#3478757. Allen Tate Statesville. Oakland Heights - Concrete drive leads to the two car garage with storage and work area. MLS#3479919. Lake Norman Realty, Inc..
Amazing deal for a charming home! Won’t last! MLS#3478141. Lake Norman Realty, Inc.. This home offers spacious bedrooms, dining room, beautiful hardwood floors, sunroom/possible 4th bedroom, screened rear porch, covered front porch, a detached 1 car carport with storage area and much more! MLS#3480107. Chris Johnson Realty. Lippard Springs - The rear of the home overlooks a spacious yard that gives the owner plenty of options for recreation and entertaining, and if a workshop is your desire, then you will love the 12 x 24 building. MLS#3478126. Magnolia Real Estate. Great home that will not last long! MLS#3480050. Lake Norman Realty, Inc..
Oakland Heights - MLS#3479800. Clickit Realty. Come and relax on the wrap- around porch - this home is a MUST SEE! MLS#3479060. Select Premium Properties Inc.
Large deck on back! Make this your home today! ! MLS#3478079. Allen Tate Statesville. Barium Seasons Village - You will want to see this one for yourself! MLS#3478425. Roost Real Estate. Hidden Lakes - Fun & friendly neighborhood offers a community pool that is being built now & opening summer 2019. MLS#3478064. Lake Norman Realty, Inc..
River Hills Estates - New covered deck front and back of the house, storage building, brand new concrete driveway...The pictures don't make justice to this gem! Come and see it yourself! MLS#3473961. Realty ONE Group Select. Mac Anderson Park with walking trails is also very close! MLS#3478017. Lawrie Lawrence Real Estate. Historic District - Screened-in attached rear porch with view of over an acre of lush gardens. MLS#3474767. Berkshire Hathaway HomeServices Carolinas Realty. Pine Forest - Curbed landscaped areas flank the large tree lined backyard. MLS#3476789. Keller Williams Lake Norman. 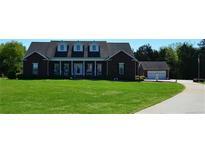 Taras Trace - Convenient location, close to Statesville’s recreation complex, interstates and shopping. BRING OFFERS! ! MLS#3477630. Chris Johnson Realty. Easy commute to Winston-Salem and Charlotte! A must see! MLS#3477287. Keller Williams Realty Elite. Carters Farm - Home will be professionally measured. Septic system to be installed. MLS#3476997. Keller Williams Mooresville. Come check out this piece of heaven now!! ! MLS#3477494. Lake Norman Realty, Inc..
Storage/workshop and 3 car garage. A must see! Generator. MLS#3471638. Allen Tate Statesville. Oversized 2 car garage. Welcome Home! MLS#3477204. Keller Williams Huntersville. Oversized 2 car garage. Welcome Home! MLS#3477205. Keller Williams Huntersville.